Welcome to the Olympia Auto Mall, your Centralia used car dealership. Located just 25 minutes away from Centralia, the Olympia Auto Mall has your perfect car, truck, or SUV waiting for you. Dedicated to customer satisfaction, the Olympia Auto Mall has the largest selection of vehicles to choose from. Because of our outstanding service and great prices, customers travel from all across Washington to visit the Olympia Auto Mall. We have helped so many customers with their new and used car needs because they know they won't find better service when purchasing their next important new or used vehicle. Browse our website inventory or stop by and talk to us in person at 2125 Carriage Drive SW in Olympia. 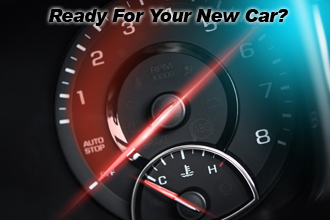 We know you will be pleased with our used and new cars selection, service, and prices. If you need help with driving directions, just click here for a map and directions. We know that buying a car is a big expense with so many choices, features, and options to consider. Our knowledgeable staff will guide you through the process. Our goal is your satisfaction. Visit us today and take advantage of our extraordinary specials and exceptional customer service available only at the Olympia Auto Mall. If you're from the Centralia area, stop by our showroom and you will see all that the Olympia Automall has to offer you in automotive innovation including our new 2018 models!